As with travel clothing, travel shoes are what you’re going to wear while en-route to your destination and they’re also going to be on your feet when you decide that you want to do something outdoorsy. They should be comfortable to wear for long periods of time (standing around at airports is no fun in crippling shoes). They should be nice to look at (as they’re likely to see just as much casual use as on-trail use they should look good). They should offer some functionality in the event that you decide to go on a little adventure (i.e. a decent, grippy sole for tackling easy trails). They should preferably, though not essentially, be lightweight so that you don’t have to put a huge dent in your luggage allowance (though, of course, this isn’t an issue if you’re going to be wearing them on the flight). 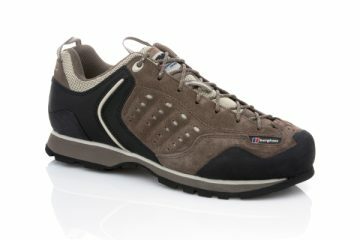 With that in mind we’ve got together six different travel shoes from various manufacturers. 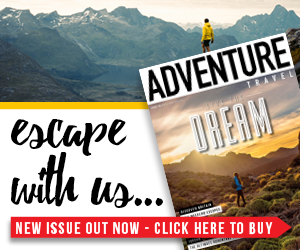 You’ll notice that some are more focussed on the leisurely aspects of a trip abroad with a focus more on comfort and looks, while others offer a mix of style and on-trail function to offer great versatility. If you have never heard of Cushe then you’ll be surprised to know that the UK brand has been around since 2004 and in those 11 years they’ve built up an excellent range of footwear designed specifically with travellers in mind. The Getaway is their submission to this review and it’s intended to be used as an après shoe, one that you’d be happy to slip your feet into after a long day on the rocks or in the surf. They’re lightweight (just 440g per pair of size 11s), comfortable (with a nice, soft footbed) and the collapsible heel is a great addition that allows you to effortlessly slip your feet in and out when you’re in camp. The upper is made from a mesh and suede combination and this allows for ample ventilation on those hot summer’s days. If you’re looking for a shoe that’s as comfortable as a slipper, but more appropriate for outdoor wear then you’ll love the Getaway. 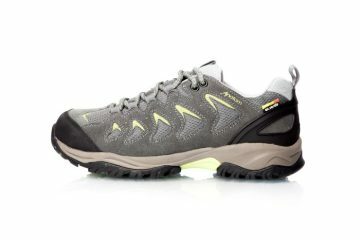 At £49.99 the V-Lite Rio Quest Is offer great value for money if you’re looking for a shoe that will do it all (to an extent). They feature a breathable synthetic mesh upper so they won’t get too stuffy in warmer climates, they’re coated with Hi-Tec’s own i-shield water repellent and this works well, just don’t expect them to keep your feet dry in soaking wet conditions. 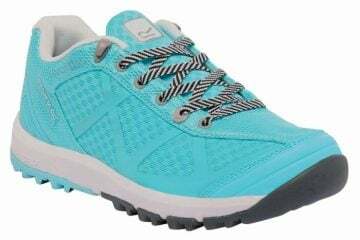 You also get a V-Lite EVA midsole to provide cushioning and comfort for long days on your feet and it works very well to create a comfortable shoe. The Vibram sole offers a nice amount of grip on gentle trails, though it began to show visible signs of damage a bit sooner than we would have liked. At 600g per pair (size 11) they’re not going to be making too much of a dent in your luggage allowance, though I suspect you’re going to want to be wearing these travel shoes rather than packing them due to the all-day comfort on offer. 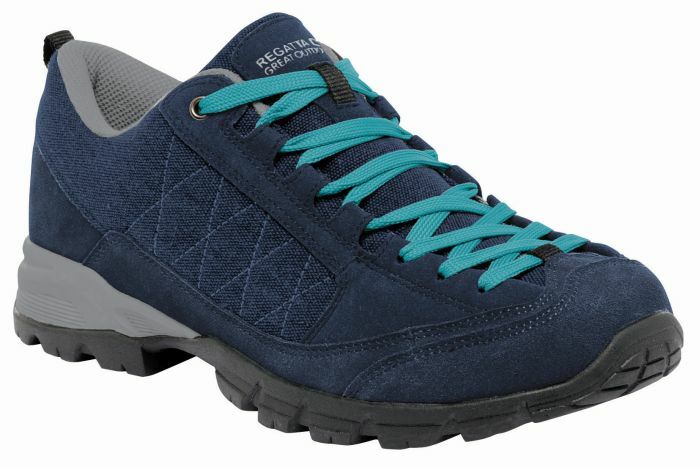 If you’re after a dual-purpose shoe that will allow you to travel in comfort while also taking on the local trails then the Regatta Rockville might be just the one for you. The Rockville’s looks are clearly inspired by more ‘gnarly’ hiking and climbing shoes with the lacing extending almost to the end of the toe, allowing for a great, snug fit. The sole has an aggressive cut to it making it ideal for off-road activities, but the high amount of flex and soft padding throughout also allow it to be very comfortable throughout the day. 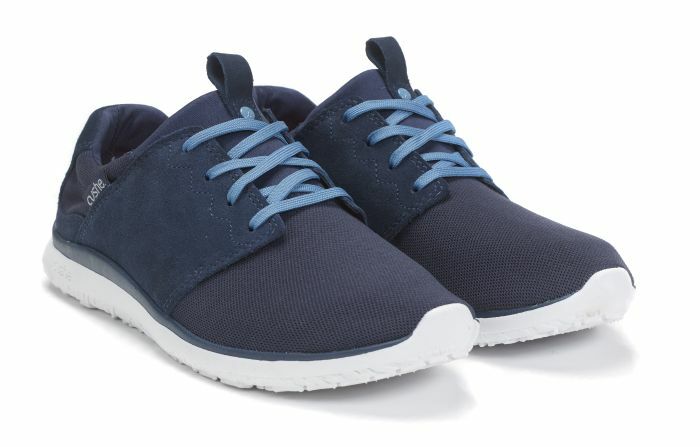 In terms of styling, as mentioned they’ve got a more active look than the others in this review and if you’re buying purely from a fashion perspective you might look elsewhere, though if you’re after a pair of shoes that won’t restrict you to walking around town then give these a go, at £50 it’d be a shame not to. 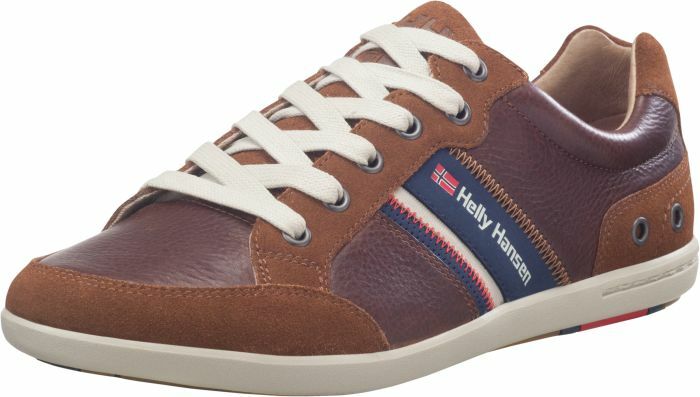 Without a doubt the Kordel Leather shoes from Helly Hansen are the best looking shoes in this review. What they perhaps lack in technical function they more than make up for in their styling and overall comfort. 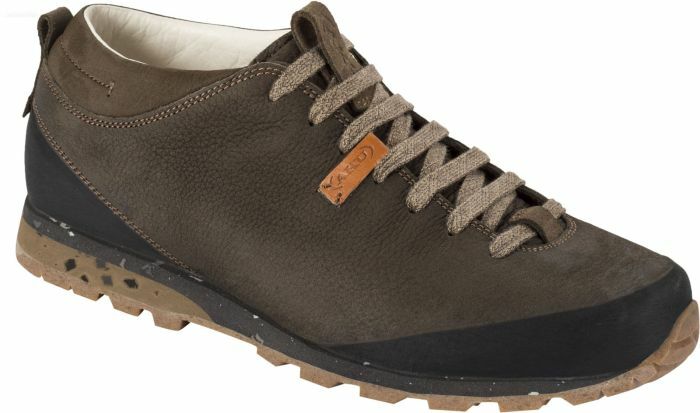 The upper is made from premium leather and suede to provide a classy look while also offering an element of protection from small amounts of water and the outsole features Helly Grip technology which has been designed to offer superior grip on wet rocks and trails. It’s nice to know that if the occasion called for it you could take the Kordels off-piste, but it’s clear to see that that’s not what they’ve been designed for. As a casual shoe that’ll allow you to travel in comfort and also give you the confidence to tackle the lightest trails they’re great. But if you’re planning on taking on anything tougher it’s best to look elsewhere. 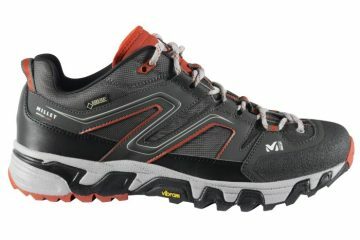 I’ve been wearing Merrell shoes for many years now and I’m finding it hard to think of any time that I’ve been unimpressed. The Freewheel Chukka is aimed at people planning to do some cycling while travelling with the rigid midfoot and grippy sole allowing you to get the purchase and durability you need while pushing the pedals all day. 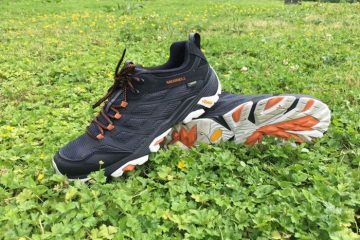 The upper is made from pig suede and for those who have tried Merrells before and thought that they end up smelling a bit after extended use, you’ll be pleased to hear that the inner is lined with an anti-odour material to help fight bad pongs. 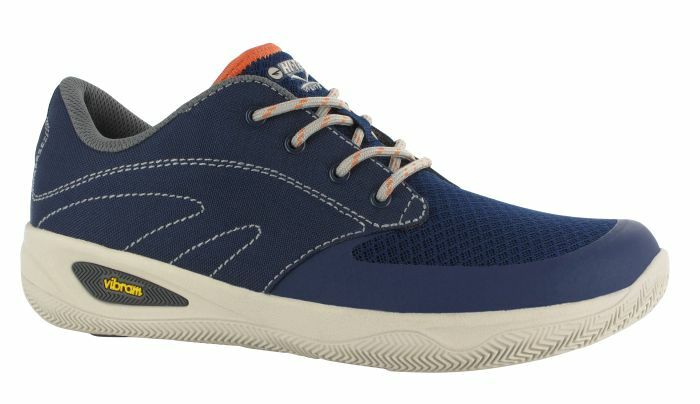 In terms of styling, these travel shoes are beautiful to look at and will go with just about anything, from jeans to cycling trousers/shorts and really, at £85 they’re pretty reasonably priced. We like them. The Bellamont Plus is touted as being suitable for urban use or spare time activities and having put them to the test in both environments (namely strutting around town and walking the dog through some very muddy fields) I can say that they do their job superbly while looking gorgeous too. The soles have a grippy, aggressive cut allowing them to excel on the trails and there are various influences from hiking shoes, such as the protective rubber rand around the toe and heel. 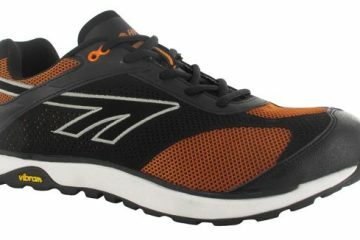 The soft leather inner and the well-made, supportive insole combine perfectly to offer superb comfort. One of the big selling points of the Bellamont Plus is how eco-friendly the operation is. The outsole and the midsole contain recycled rubber, the laces are made from natural cotton and 99% of the materials are from Europe. Worth the price for the quality.